Where does the time go? It seems like only yesterday that the new line-up of rail industry heroes was crowned at the 2018 RailStaff Awards for the difference they make to customers, colleagues, communities and the collective rail industry. 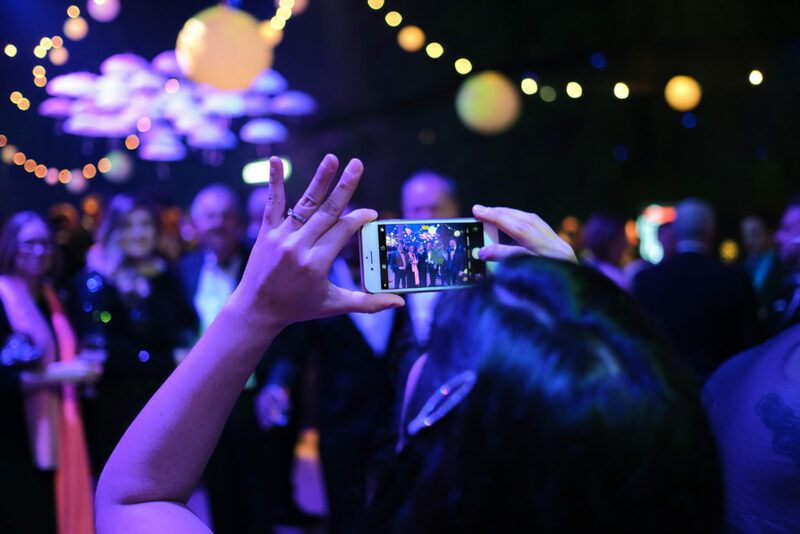 Whether it was through exploring the enchanted wonderland, taking in the jaw-dropping entertainment or recognising an unsung hero, it was a night of making memories for so many people. If you wanted to turn back the clock, spend three minutes of your day watching the highlight reel from last year’s show to see for yourself how spectacular it was. Trust me, you won’t regret it. The video, masterfully woven together by the magicians at Inside Out Group, is available on the RailStaff Awards website. As we step into April, the RailStaff Awards team is already working hard behind the scenes to put plans in place. 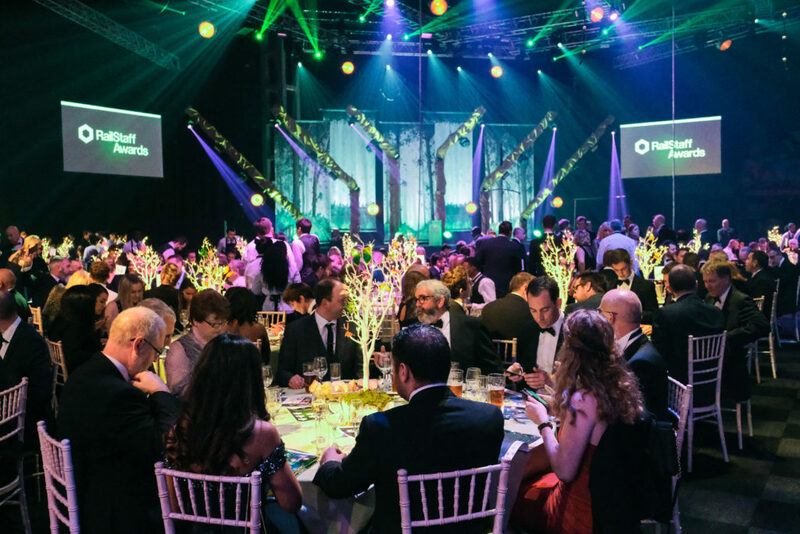 The date has been booked – Thursday, November 28 – and the awards ceremony will once more return to one of the 19 halls at Birmingham’s NEC, a fantastic central venue that is up there with the country’s very best. So far we have 12 supporters on board: Bolle Safety, Colas Rail, Freightliner, Great Western Railway, Heathrow Express, Land Sheriffs, Pulsar, Samaritans, telent Technology Services, Total Rail Solutions, Transport Benevolent Fund and Westermo Data Communications. The awards ceremony wouldn’t be possible without them so a heartfelt ‘thank you’ goes out to them all. We look forward to finding out more about them and exactly why they’re backing the industry’s only national people recognition scheme in the months ahead. A new year means a new theme and we’re excited to let you know all about it but I’m afraid we’re keeping it close to our chest for the meanwhile… More on that in due course. The time is also upon us to announce that nominations are now open! Think of those colleagues who have done something extraordinary in the months since October last year. If they deserve some recognition, spend a little time telling us why, it could make a huge difference to them knowing their efforts are appreciated. If you should need it, we even have a handy guide to help you through the nomination writing process. Eagle-eyed readers will notice there have been a number of changes to the 20 award categories this year. Some have merely had their titles tweaked but others have faced bigger change to reflect wider industry trends. The RailStaff Awards engravers will no doubt be grateful to hear that Control, Signalling & Telecoms Person or Team of the Year has become the Digital Railway Award, taking on the remit for an area that is so important to the future of our railways. ‘Graduate of the Year’ will have ‘Newcomer’ once more added to the category to reflect the number of career changers who enter the rail industry and not just those starting out in their career. Trainer or Training Team of the Year Award becomes the Learning and Development Award to increase the focus of a category that covers so many different types of job roles. Finally, perhaps the most fundamental change is the launch of a new category. HR, diversity and inclusion is a topic that has been recognised multiple times in other categories but, we feel, it now deserves its own to recognise the industry’s efforts to create a workforce that better reflects society. The most important part of the awards night has not and will never change, however, and that’s the focus on the hundreds of thousands of people who work in the rail industry, including you. With the countdown now beginning, we’re looking forward to reading through your nominations, meeting so many more of you and, in November, revealing the rail industry heroes of 2019.